Tekni-Plex is set to exhibit its flexible packaging materials for pharmaceutical applications at this year’s Interpack event in Germany. The event will take place from 4 to 10 May in Dusseldorf. At the event, Tekni-Plex companies will also exhibit a range of closure liners, which can be used for several products. 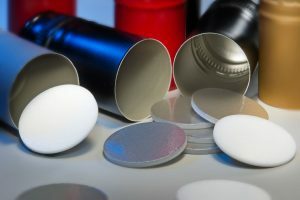 The firm will present its Flexapharm super-barrier coated (SBC) thermoformable, polyvinylidene chloride (PVdC) blister film line, which includes ultra-high moisture and oxygen barrier properties that are suitable for pharmaceutical applications. It is developed as an alternative to cold formed foil or PCTFE based blisters, enabling to use for a range of tablets and capsules. Flexapharm SBC has been developed by applying a PVdC barrier coating to a film structure made from layers of polyvinyl chloride (PVC) or polyethylene. Multiple layers can be applied based on desired barrier attributes of the specific application. Tri-Seal, which is a producer of closure liners and seals for glass, metal and plastic containers, will exhibit Tri-Vin laminated aluminum foil/foam barrier liners for roll-on pilfer proof (ROPP) wine closures. The firm will also showcase its F-217 coextruded closure-liners, which can be used for different container material types and products. Available in multiple thicknesses and densities, the F-217 liners will be used by brand owners to offer product leak resistance during e-commerce distribution. Tekni-Films provides thermoformable blister barrier films, flexible films, lidding foils and pouch materials for pharmaceutical, medical, diagnostic health and personal care products. Image: Tri-Seal’s Tri-Vin wine liners. Photo: courtesy of Tekni-Plex.